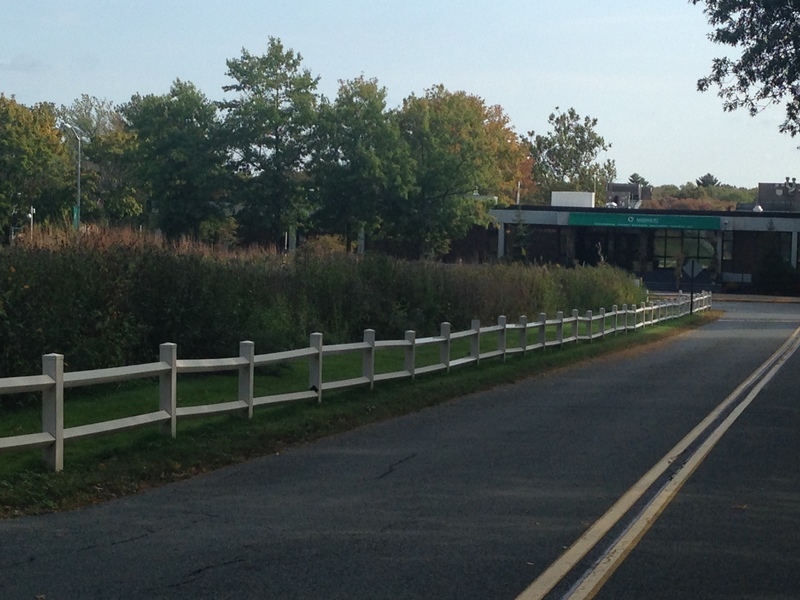 When you drive up the entrance road to Massasoit Community College in Brockton, MA, the first thing you see is a prairie! That is, you see a lawn gone wild with natural grassland vegetation just before you see the College Administration Building. Amazing! 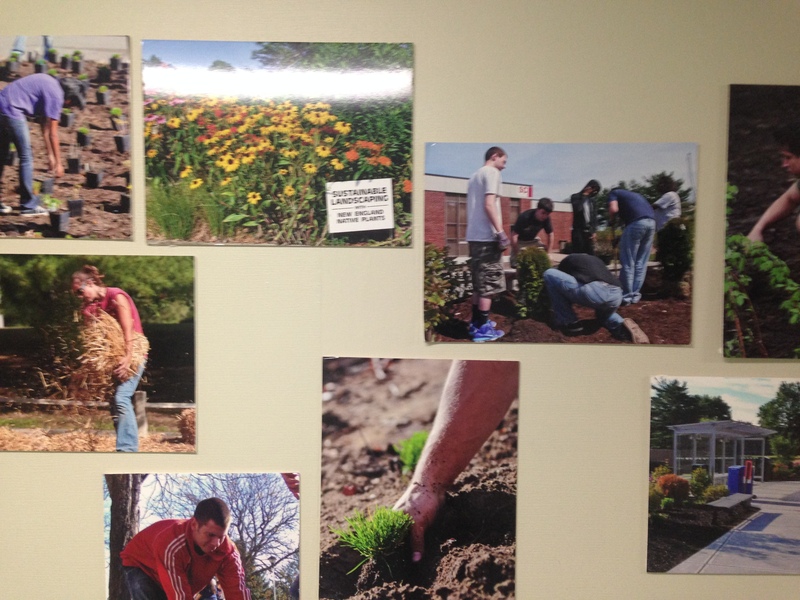 Massasoit Community College has made a major statement about how a public space can be landscaped to provide habitat for native pollinators! 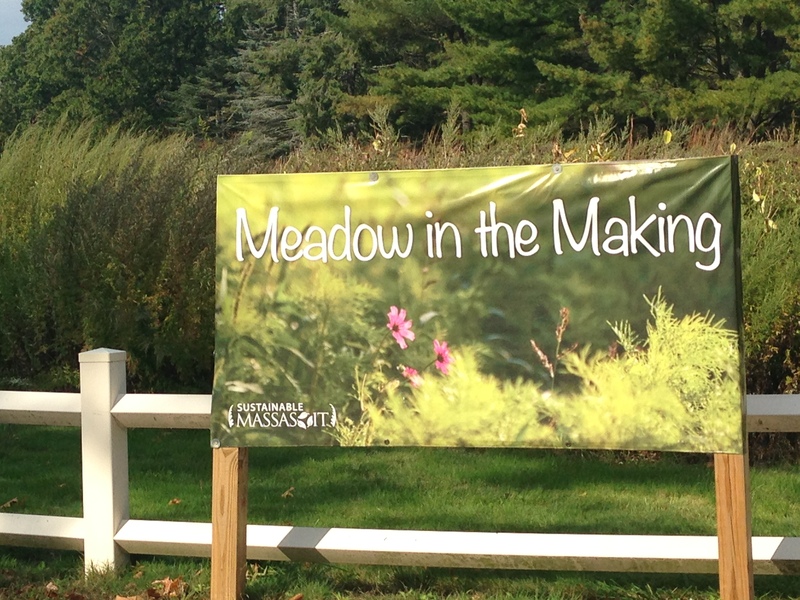 The Massasoit Meadow in the Making is the brainchild of faculty member Melanie Trecek-King and her landscape ecology students. And her colleague, Michael Bankson’s students presented the results of their efforts at the Annual Meeting of the Ecological Society of America in Baltimore, MD in August, 2015. Their work was entitled Restoring habitat with native flowering plants benefits wild bees in an urban landscape. The students have been conducting research about native pollinators under the Massachusetts STEM starter grant over the past year. According to Melanie Trecek-King, as much as 12% of the grounds of the college has been turned into pollinator habitat and it has made a significant difference in the native bee and pollinator population on campus. USDA/NRCS Chief Jason Weller said in a recent statement, “the foraging opportunities for honeybees — and native pollinators like butterflies, bumblebees, and other wild bees — are greatly enhanced when they can access vast fields of wildflowers and other native plants. But these fields are being broken up by agriculture and covered up by development.” USDA recently announced a $4 million program to assist farmers create more habitat to support declining bee populations. 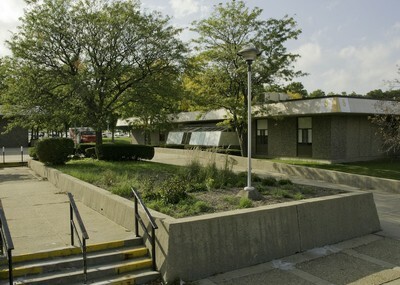 Like most college campuses, the standard landscaping right in the heart of the Massasoit campus used to feature typical sterile landscape plants and bark mulch. 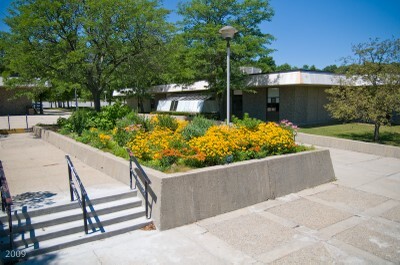 These areas have been turned into native plant pollinator gardens by Trecek-King and her students, both making the campus more beautiful and more ecologically friendly. This important work offers students both the opportunity to gain real world practical experience in establishing and maintaining a sustainable landscape as well as research opportunities in landscape ecology. Congratulations to Massasoit Community College for leading the way in Massachusetts toward creating a more ecological sound and educational landscape on their campus!